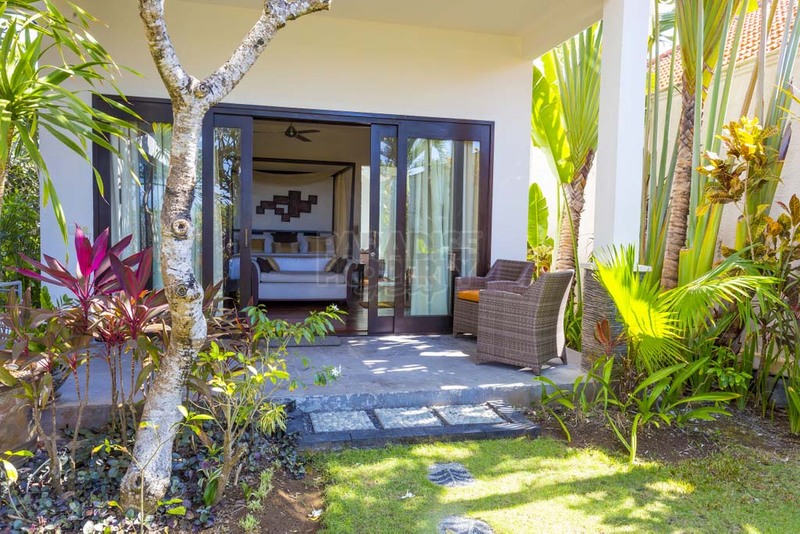 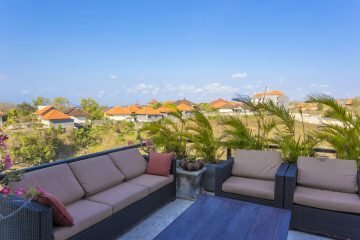 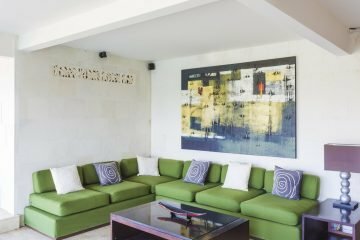 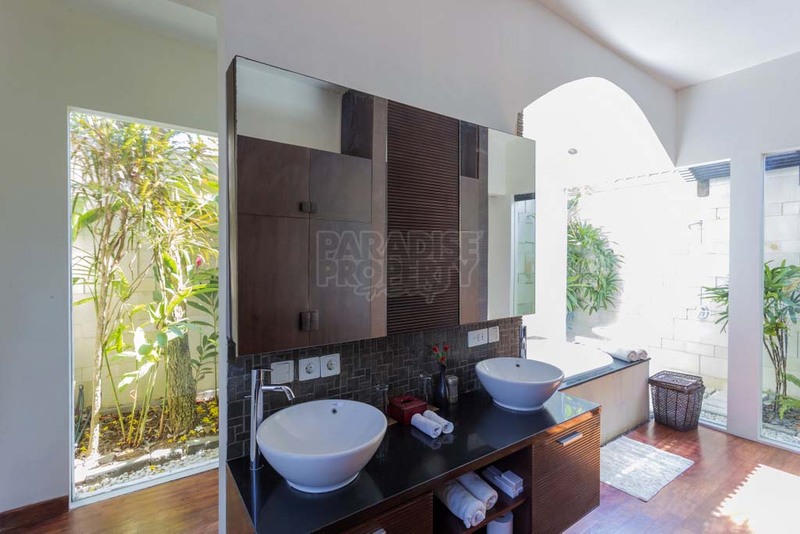 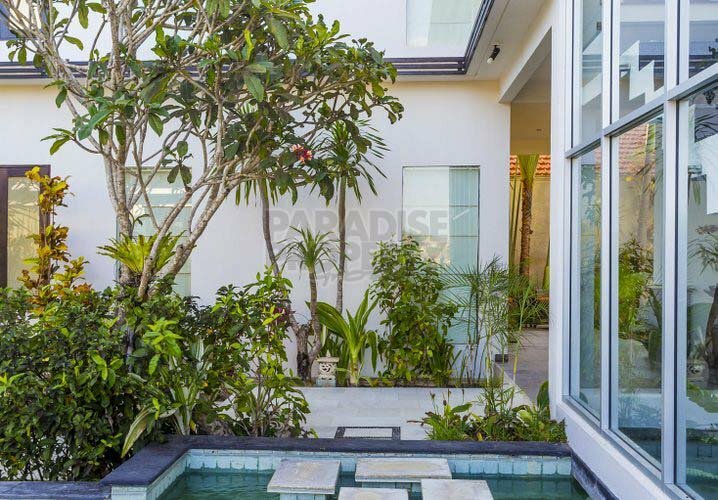 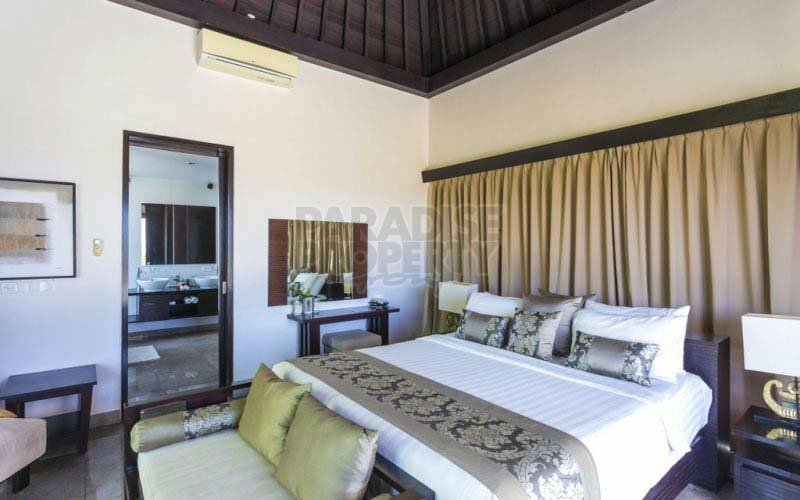 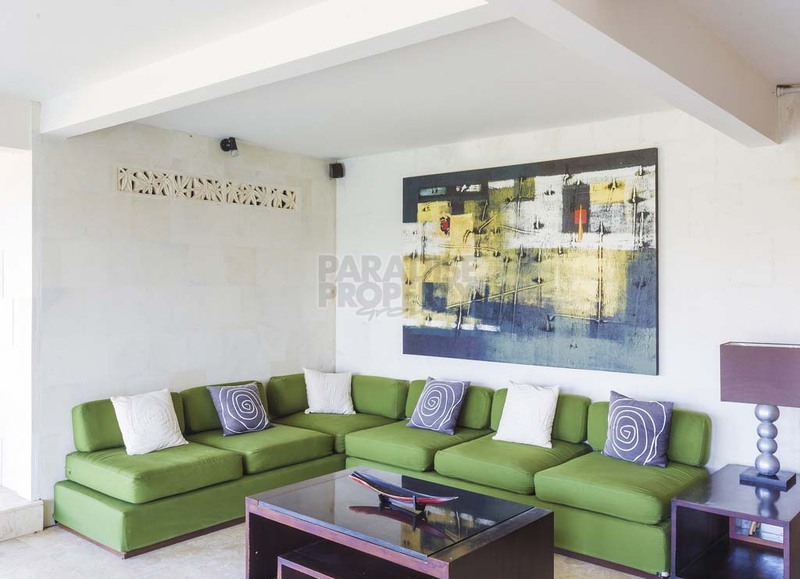 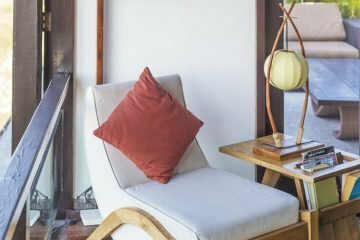 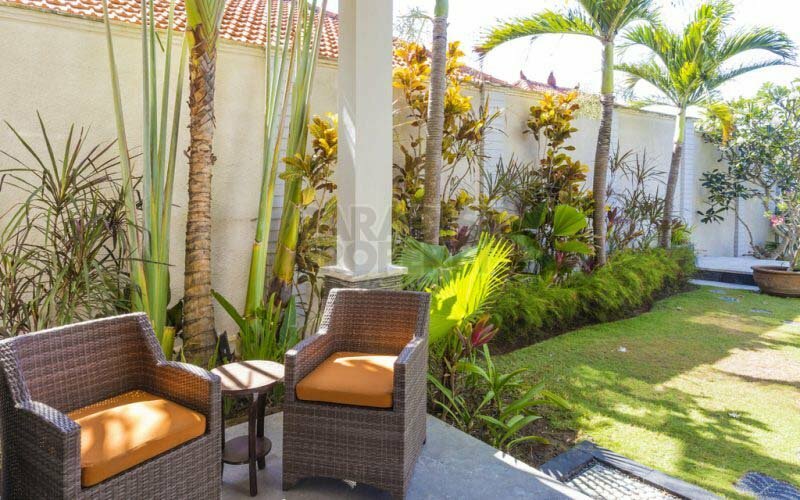 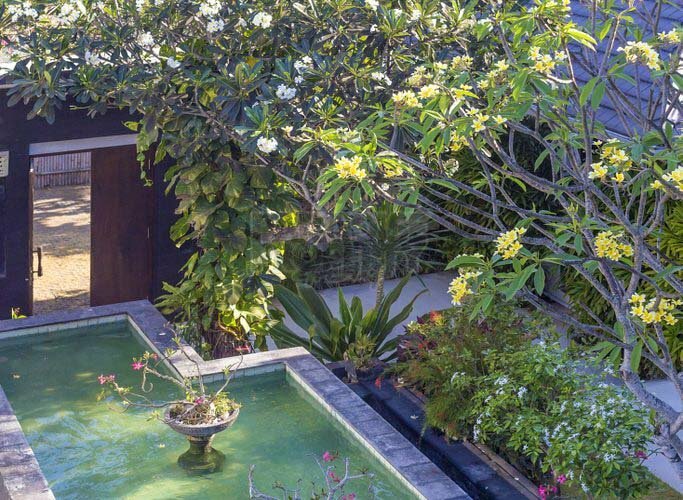 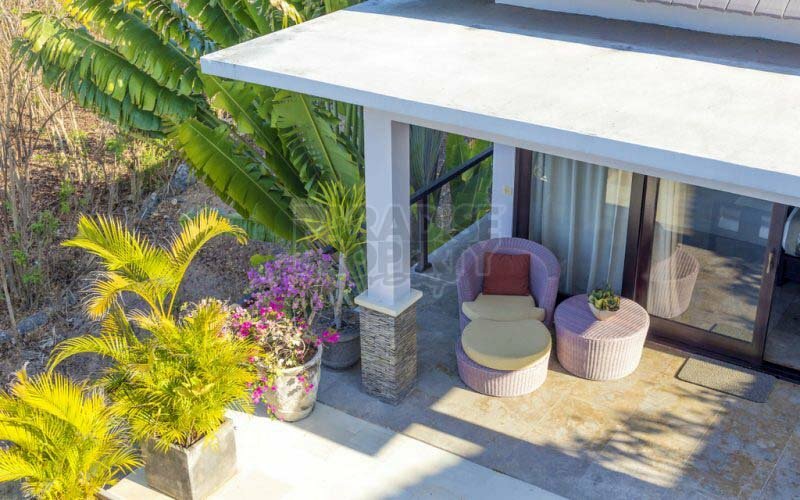 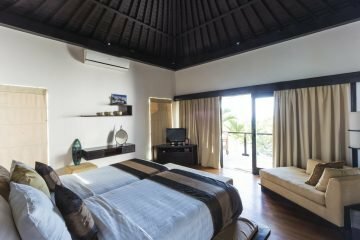 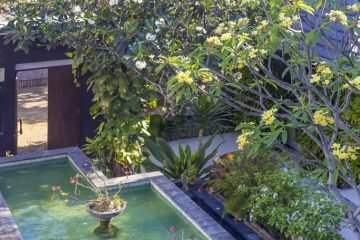 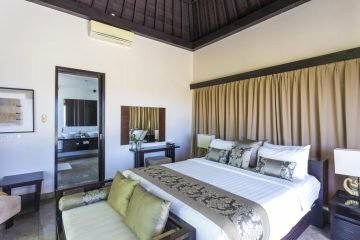 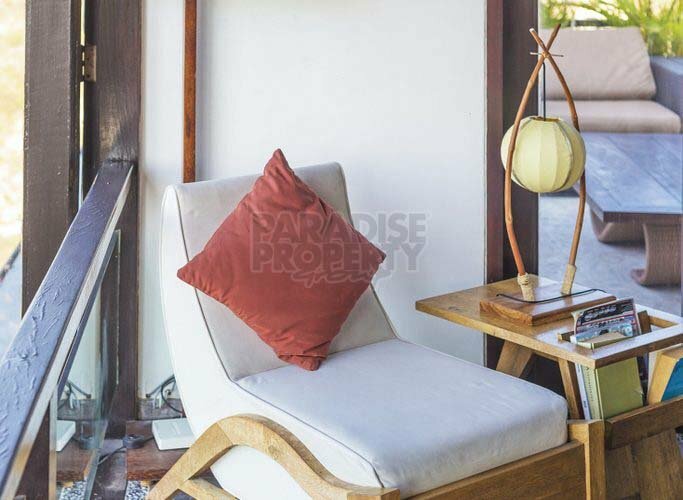 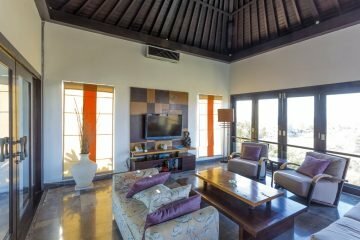 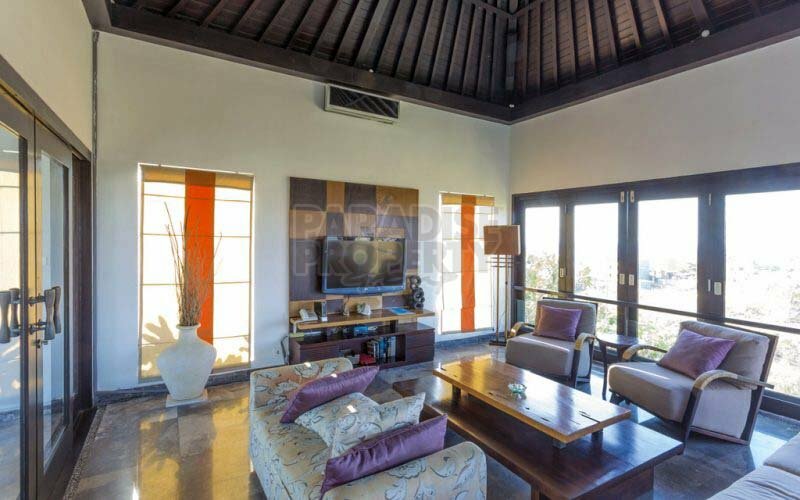 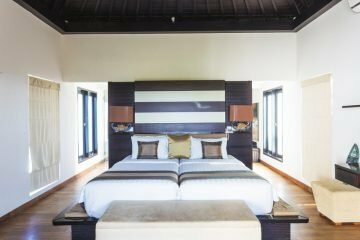 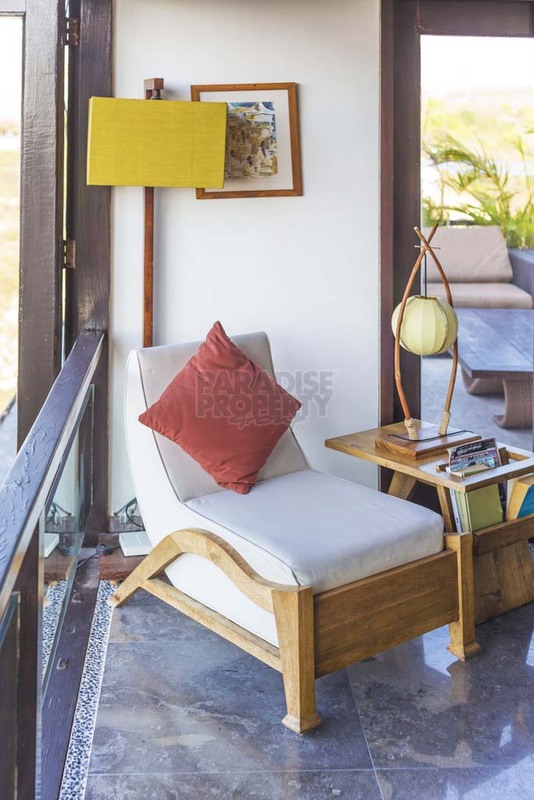 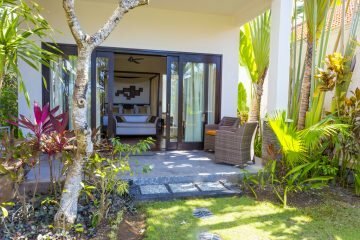 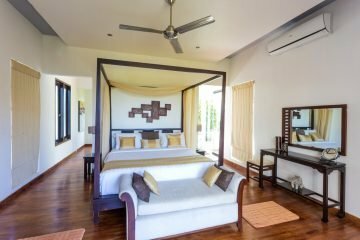 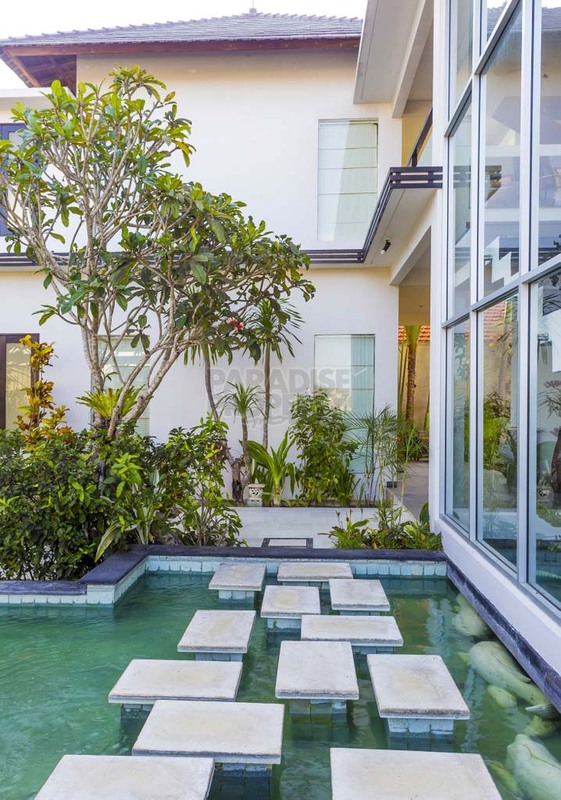 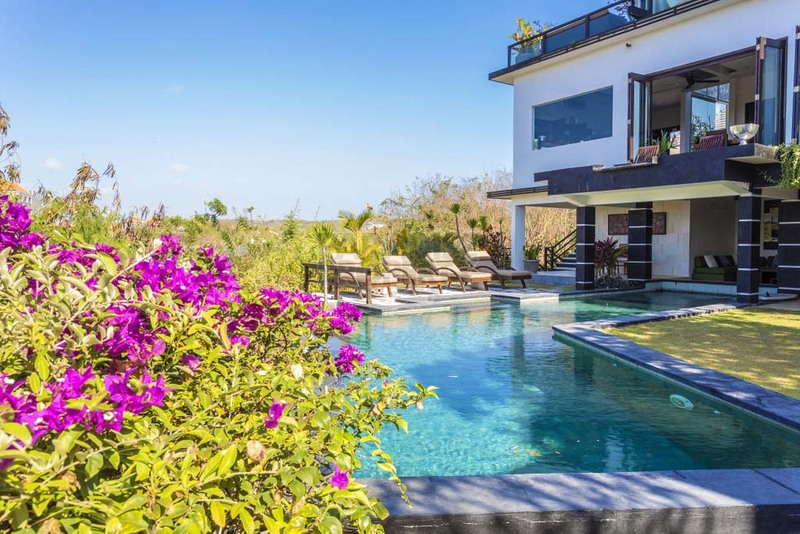 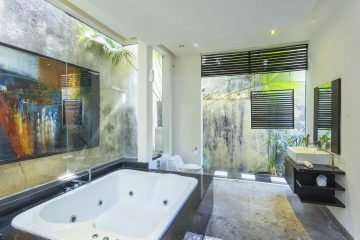 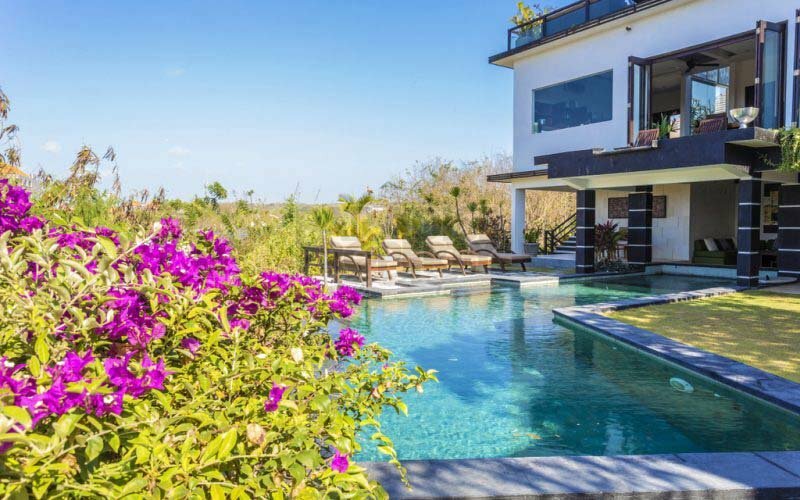 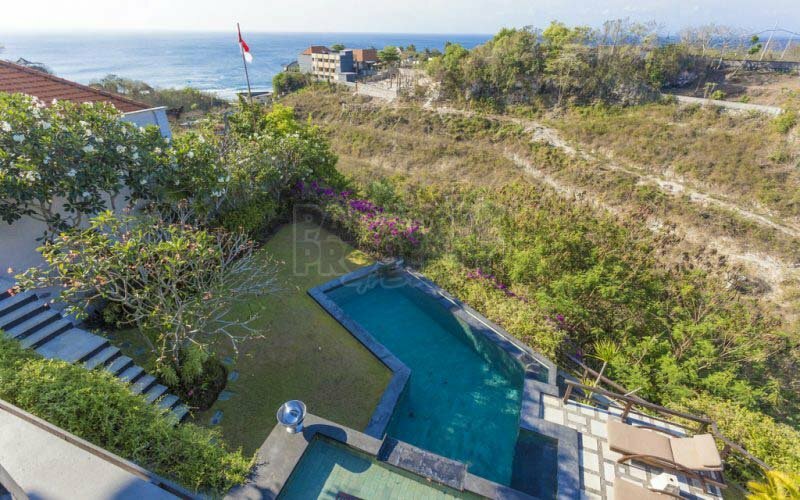 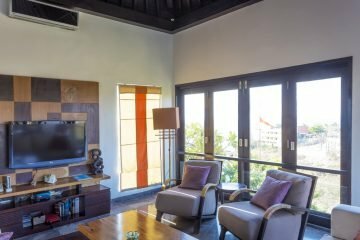 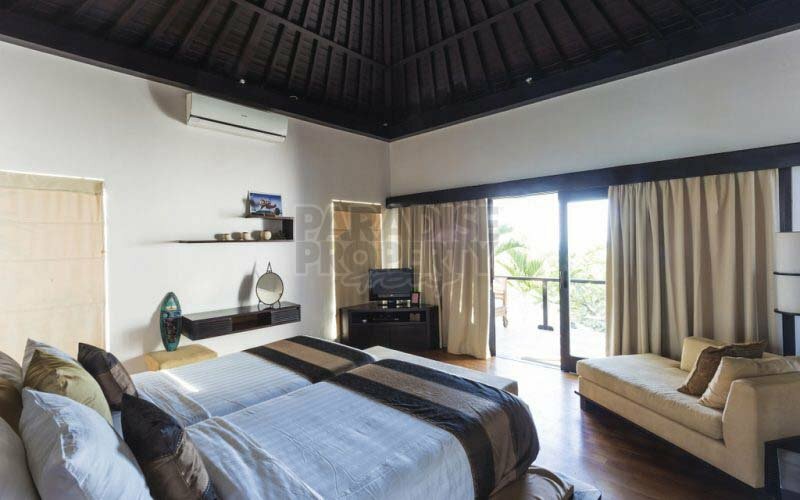 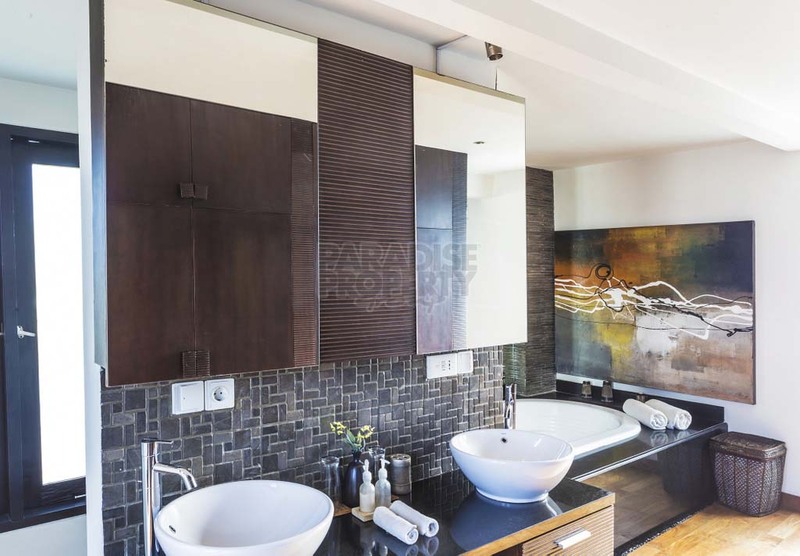 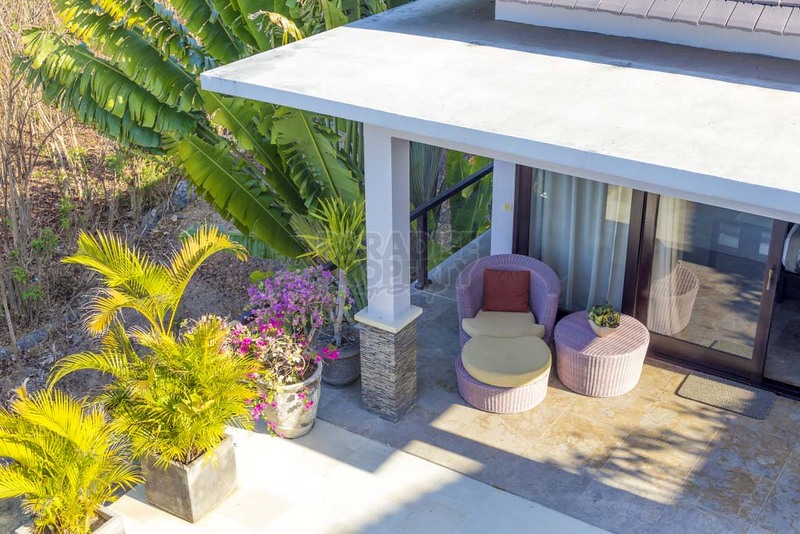 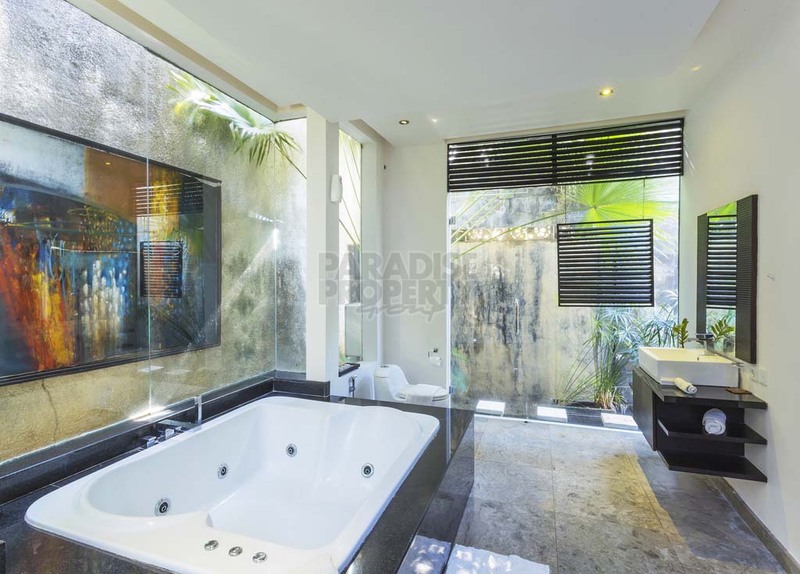 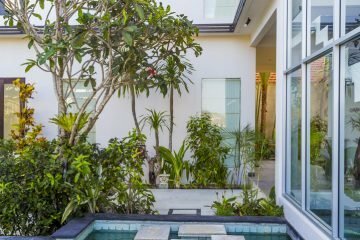 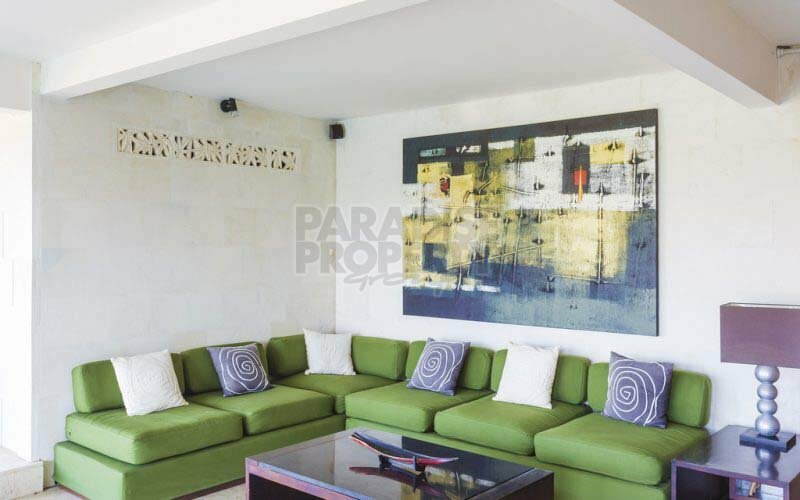 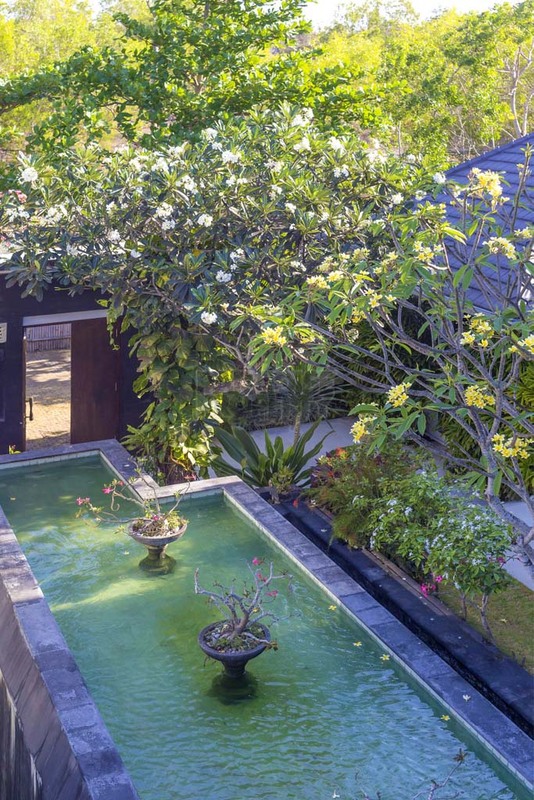 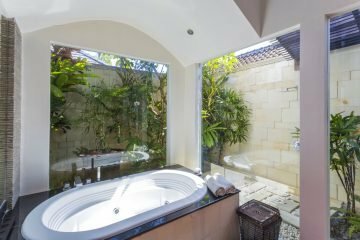 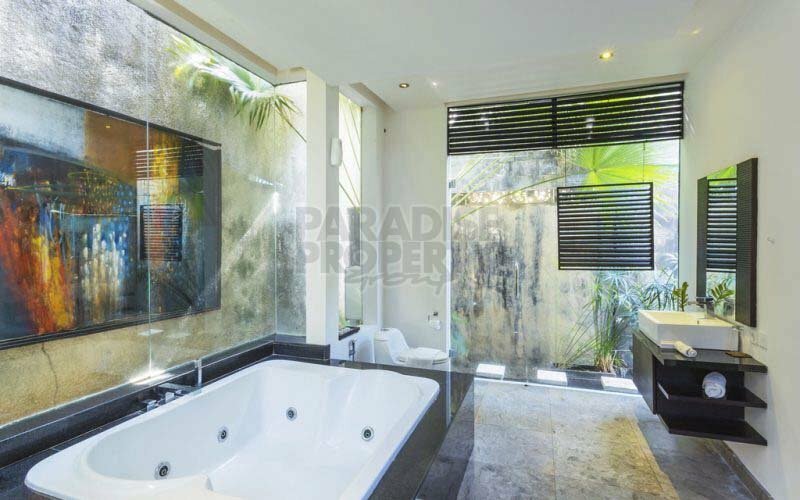 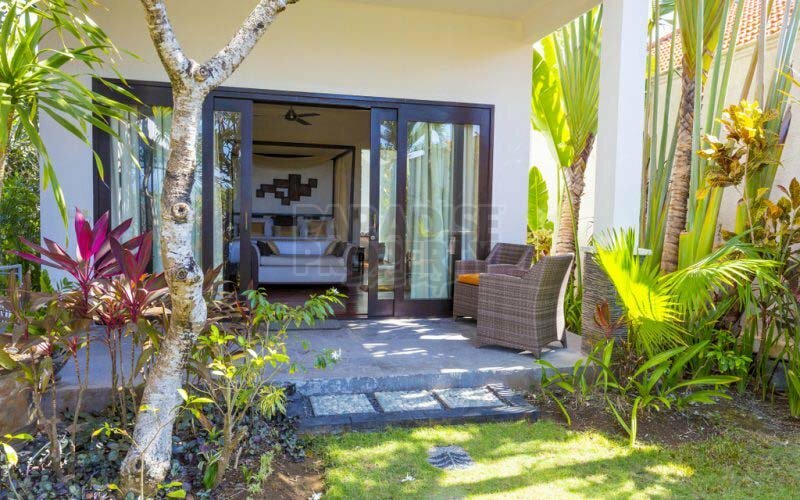 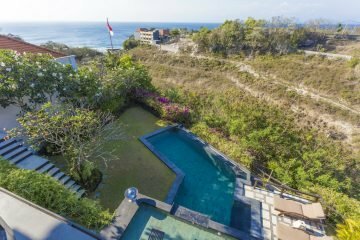 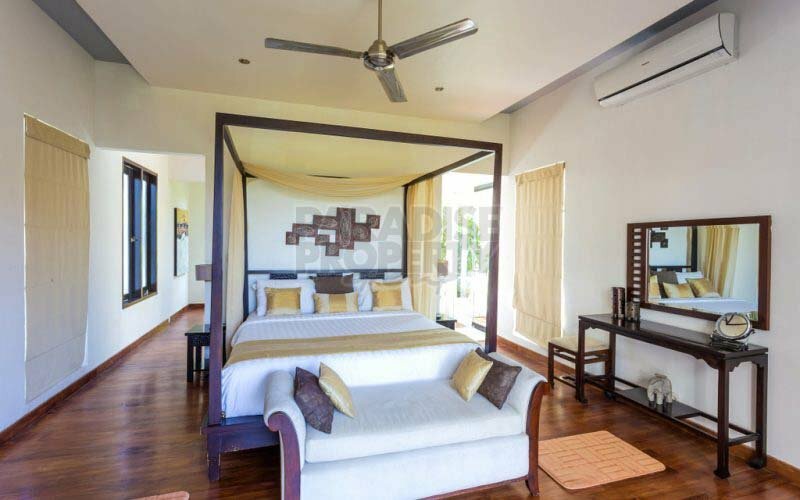 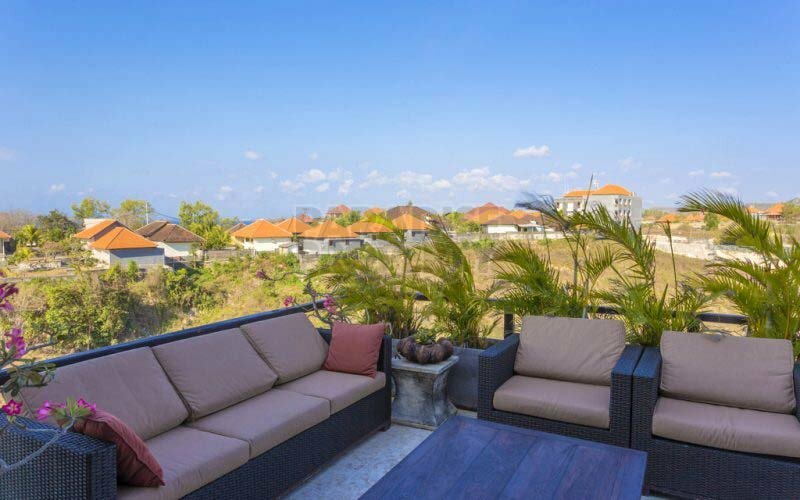 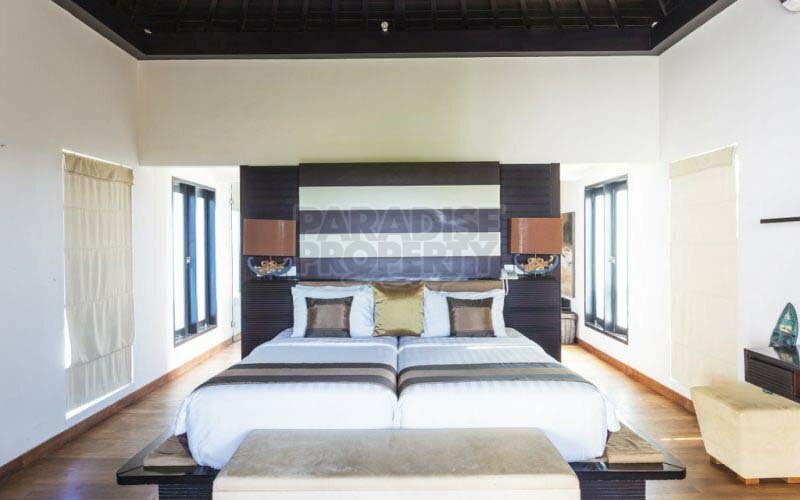 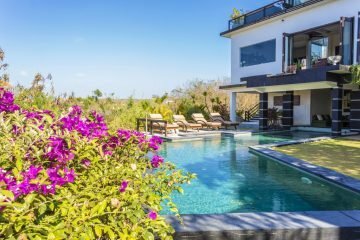 This unforgettable contemporary-style property sits on 1000 square meters of freehold land located close to the famous temple and renowned surf break at Uluwatu and boasts unforgettable ocean views from an elevated plateau close to the dramatic cliff front. 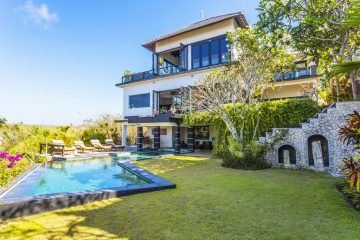 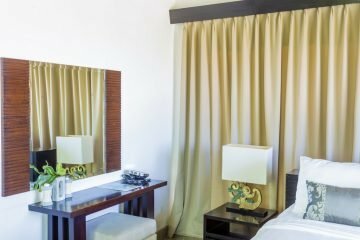 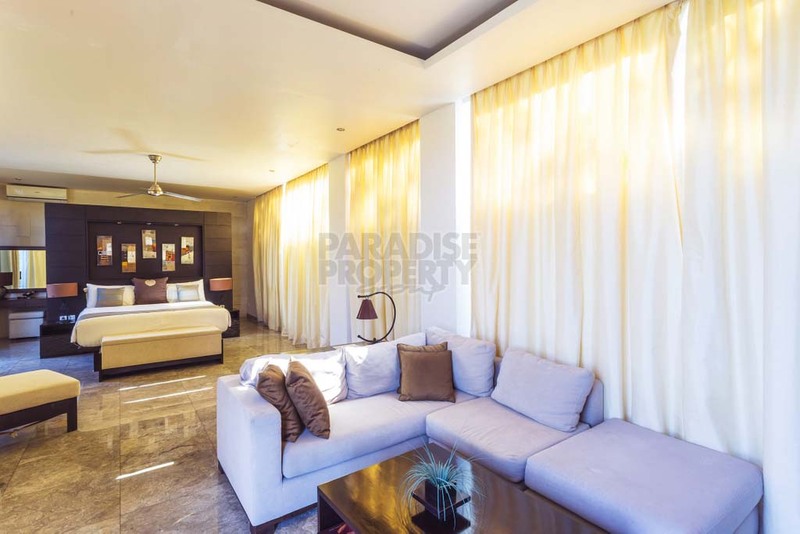 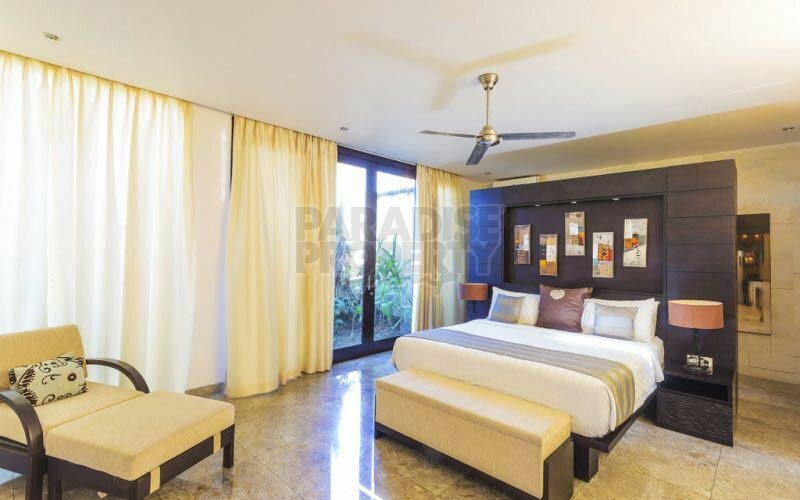 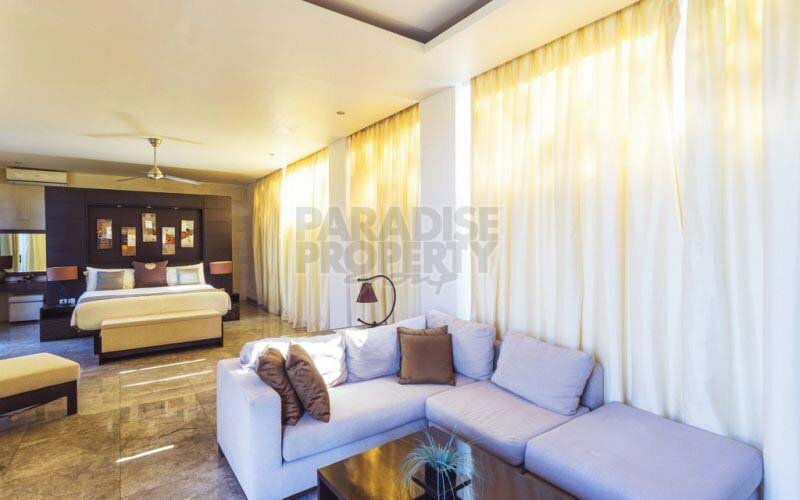 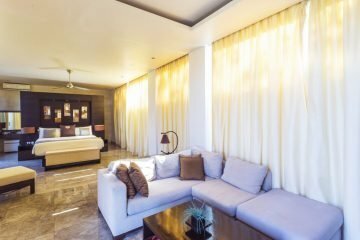 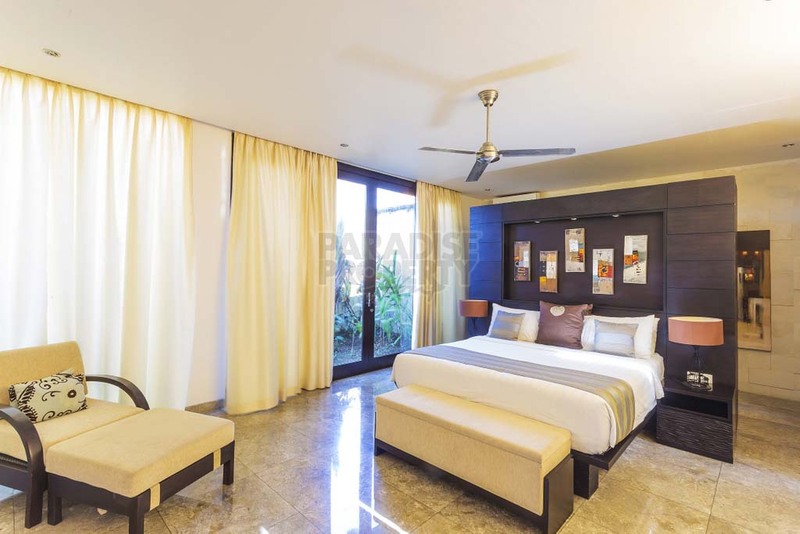 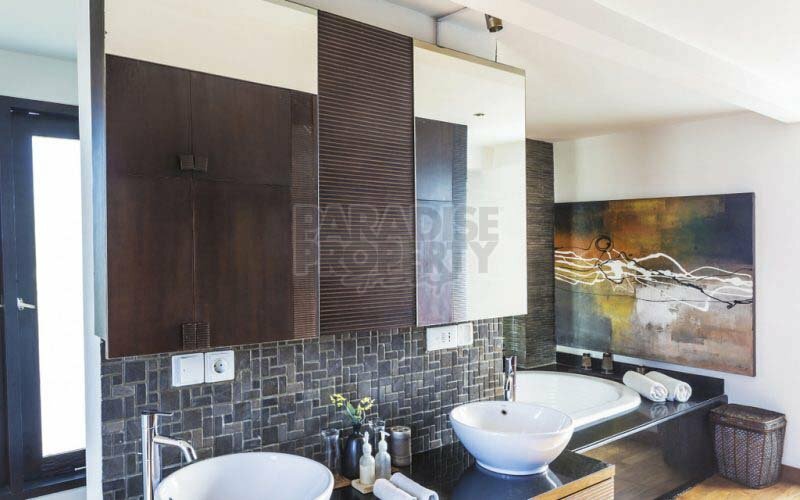 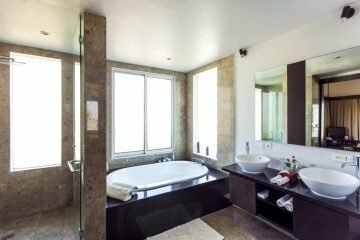 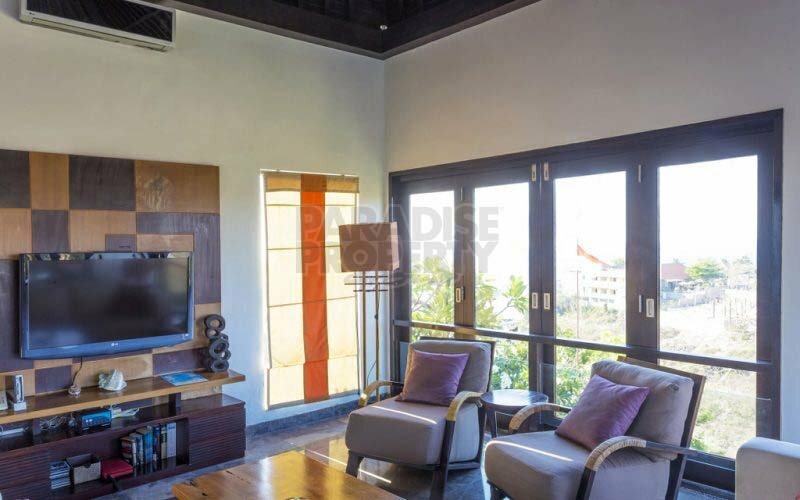 Featuring 4 bedroom suites and plentiful luxury living space across it’s 600 square meters of luxury living space, this property is both unique in style as well as quality and represents an impressive investment in an area home to numerous multi-million dollar properties and luxury estates. 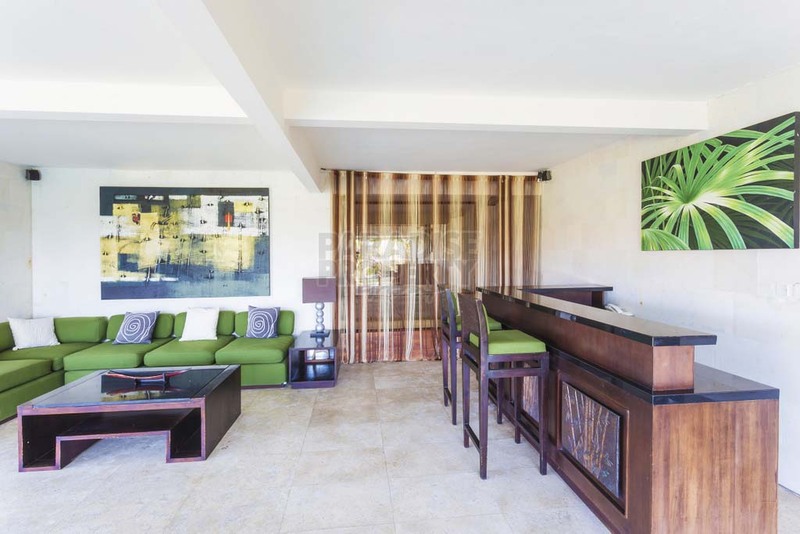 Cool off in the private lagoon swimming pool, entertain friends and family in the poolside bar area or kick back and enjoy the unforgettable panoramic views from the upper level lounge – this property blends style with practicality and fun, a real ‘must see’. 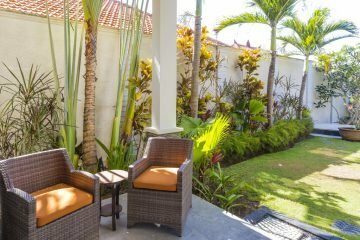 For anyone wanting to extend the grounds of the property an additional 1,500 square meters of adjoining land can also be acquired. 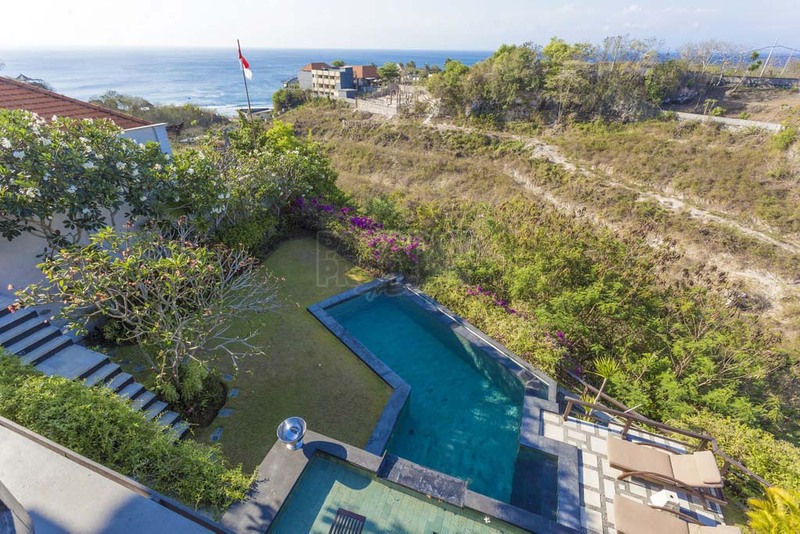 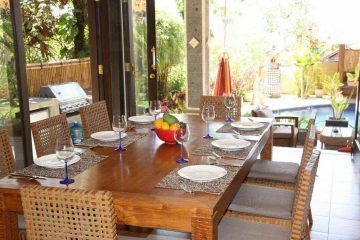 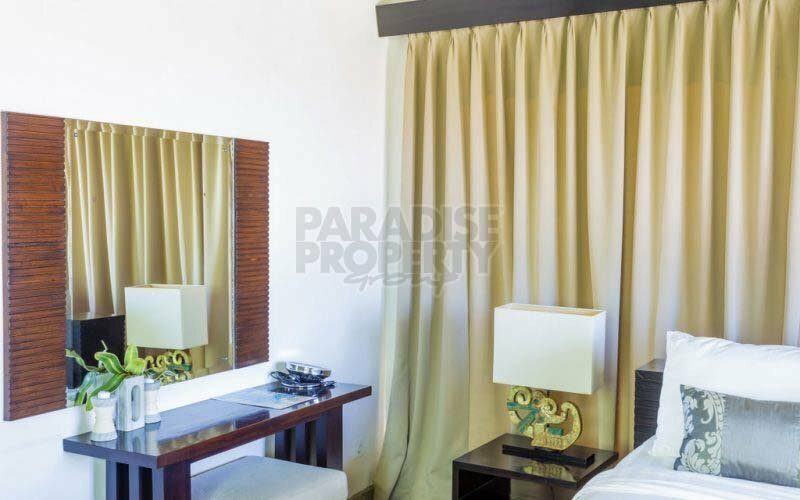 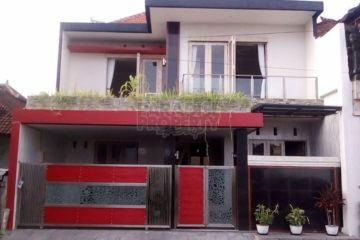 For more information on this exclusive property or to arrange an inspection, please contact us!